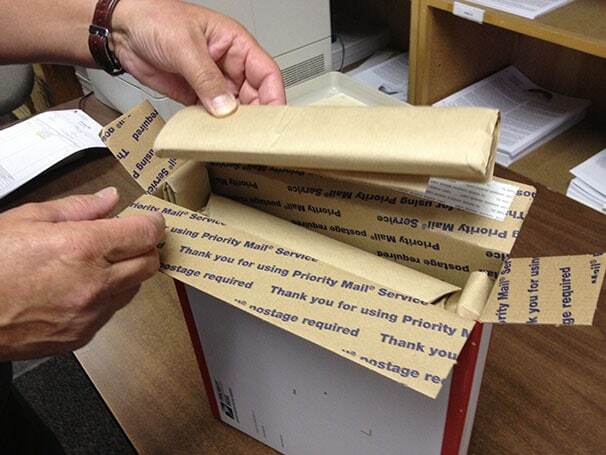 The US Postal Service, UPS, and FedEx handle millions of packages daily. 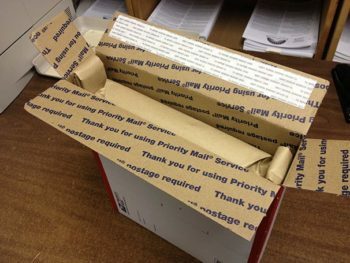 The packages get tossed about and stacked. 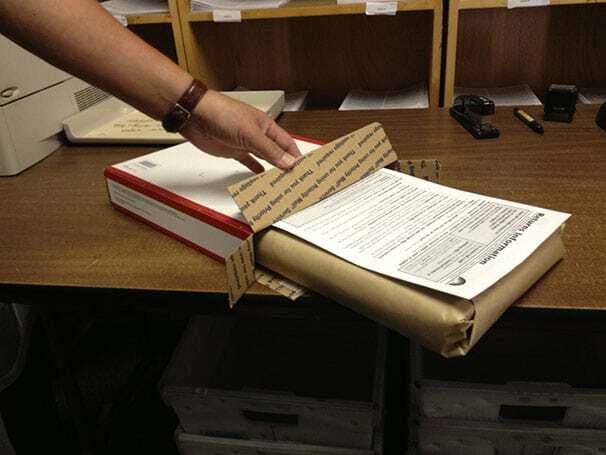 Re-used boxes may not be able to stand up to this treatment, allowing damage to book cover corners. 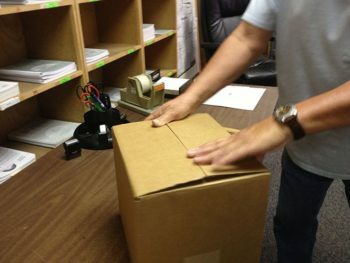 Don’t let your return become a casualty. Alternate spiral-bound books so the spirals are not one on top of the other, and position so that each book’s spirals do not rest on the book cover below it. 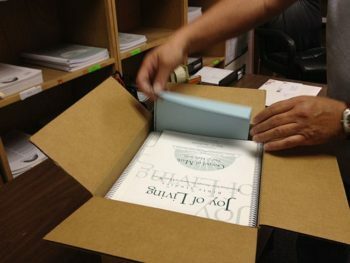 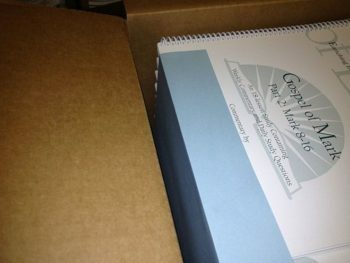 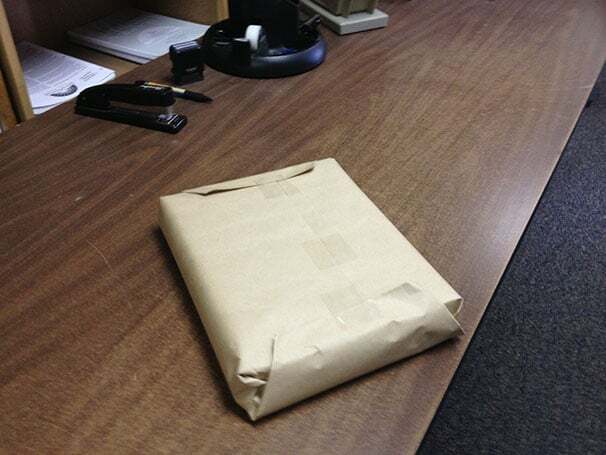 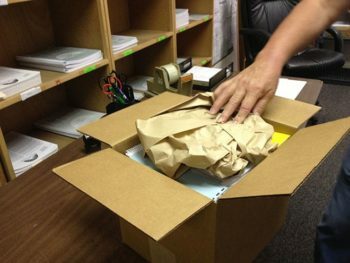 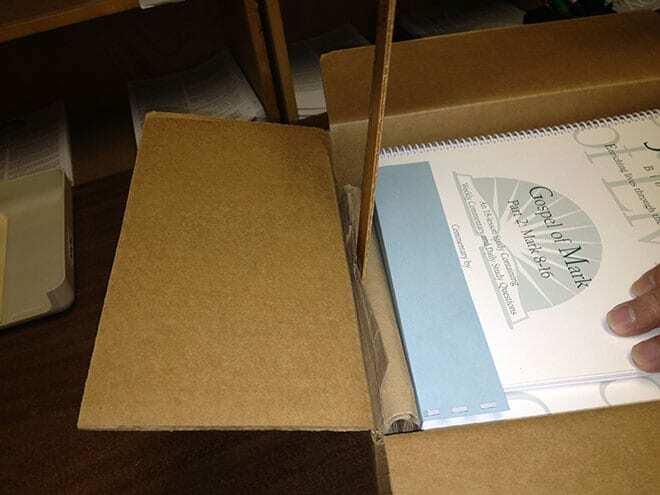 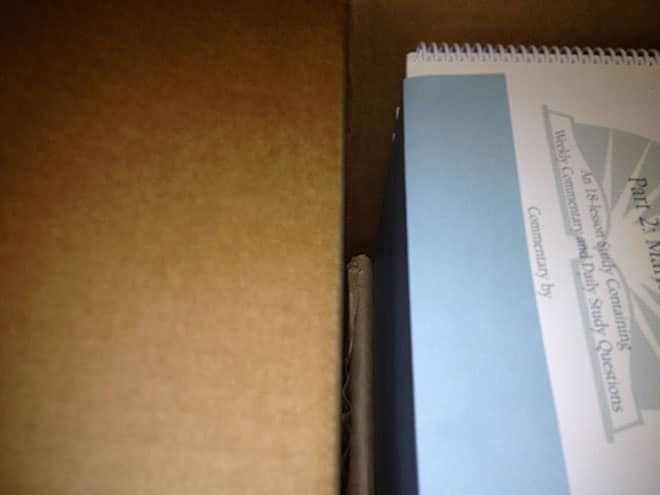 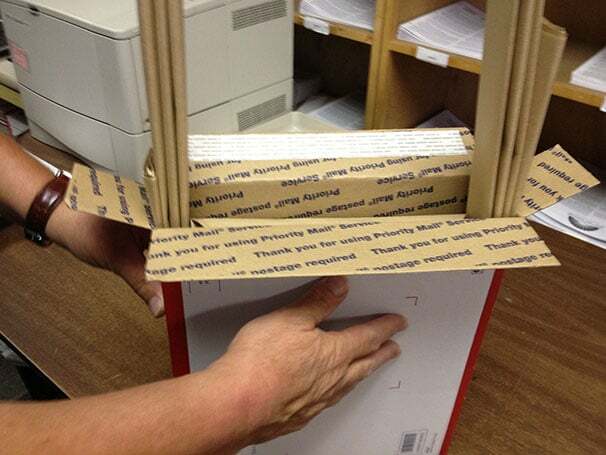 If sending studies in a box that is not exactly the right size, such as Priority Mail Flat Rate or Regional Rate boxes, wrap the studies in paper to protect them and keep them from shifting around during delivery. 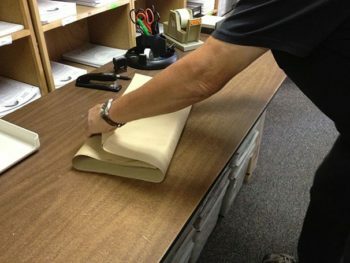 Use tape to secure paper. 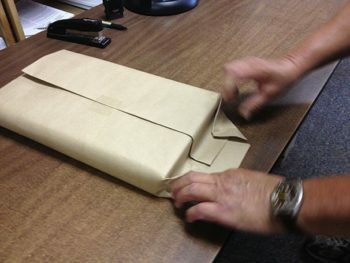 Fold in ends and tape them as well. 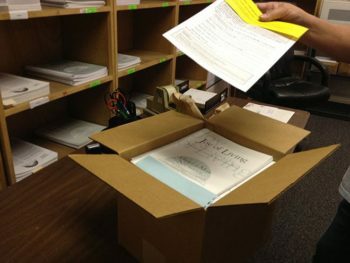 Add your filled-out returns form and a copy of the original invoice or packing slip, and place in box. Fold or roll up more paper or other filler to fill in any gaps inside the package. 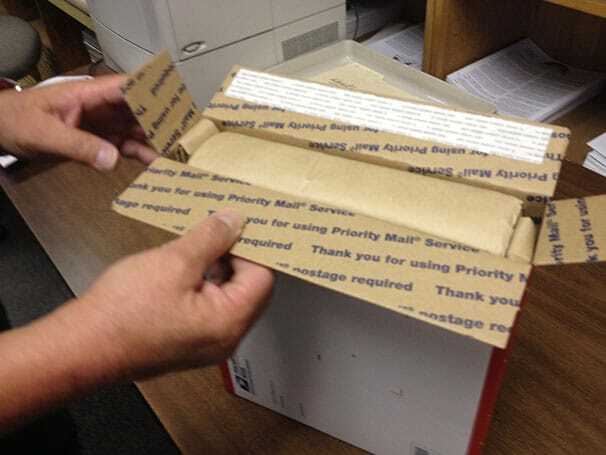 Add sufficient filler, pressed in firmly, to keep the package contents from shifting during shipping. After all spaces are completely filled, seal and label the package. Be sure to insure the package! Use a NEW, sturdy box of appropriate size. 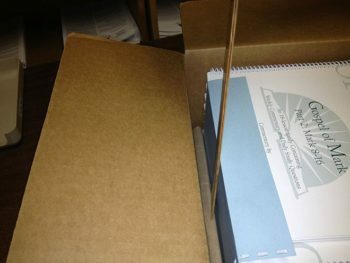 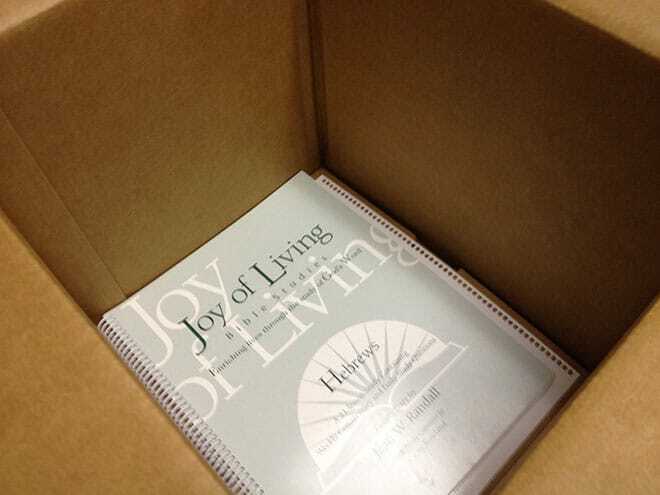 Place a sheet of clean paper on bottom of box to protect cover of bottom book. 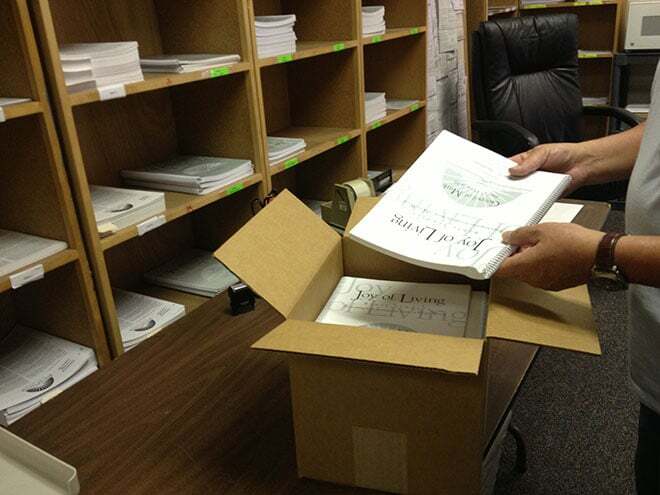 As you place books in box one at a time, alternate each book’s direction so the spirals are not one on top of the other, and position them so that each book’s spirals do not rest on the book cover below it. 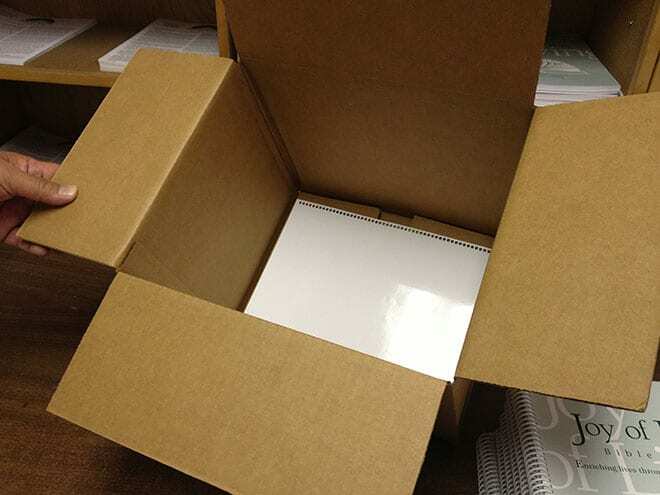 If there is open space at one end of the box, fold a piece of clean paper and place over the end of the books, to protect the edges. 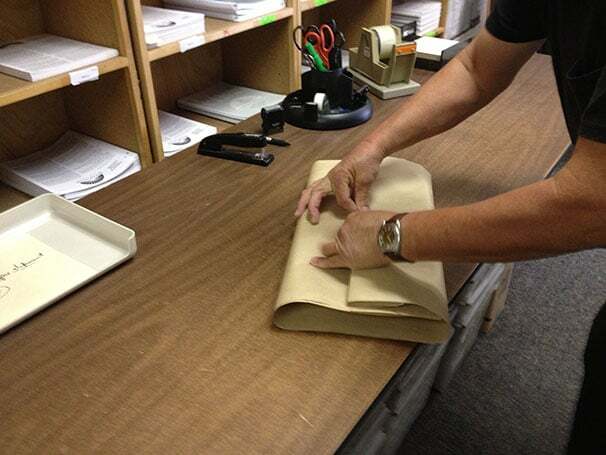 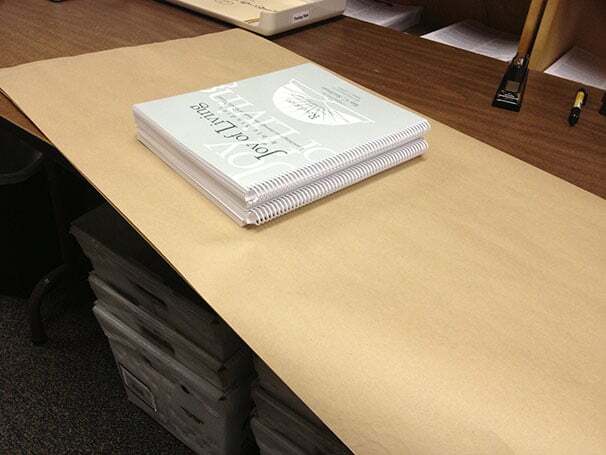 Placed flattened rolls of paper, or other clean filler, in open space, using a ruler to press each piece down firmly. Add your filled-out returns form and a copy of the original invoice or packing slip. Add clean filler to open space on top and press firmly to completely fill. Close box and seal securely.